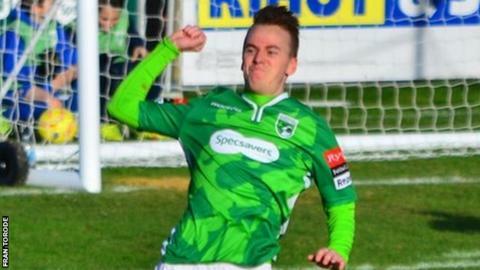 Guernsey FC striker Marc McGrath is proud of his role in their recent form. McGrath has scored four in his last four games and his side travel to Three Bridges looking for a sixth Isthmian Division One South win in a row. "Goals is what I'm all about but I'm more happy that it's been getting us good results because the team comes first," he told BBC Radio Guernsey. "I think the results are more down to players coming back from injury, which has been a massive boost to us."